My academic background includes two PhDs, which quality me to be a lecturer or with further research a professor. However, my extensive experience as a tutor helps me to realise that a student's smile brings me satisfaction and encourages me to bring out their potential. I will be glad to see students succeed in their chosen careers. I am easy-going and optimistic. I never beat around the bush during sessions. I directly get to the point and you save money and time! I am responsible to kids and parents. I humbly accept suggestions from students and parents, and respond in a positive manner. In addition to completing homework or assignments, I want to help kids to be creative and critical thinkers. I have a website where you can find my biography and my sample lessons. I begun to be a home tutor when I was a freshman. I had been a teaching assistant and lab demonstrator since I became a postgraduate student. I am also an experienced tutor familiar with Australian curriculum and teaching high school/college students mathematics, chemistry and physics in person in Canberra and offer online tutoring for students in the countries like New Zealand, UK, China etc. I have working with vulnerable people card (police check). Online Tutoring Only. We use an app where we share an interactive whiteboard and use skype or any other chatting apps for voice chat. Simply use your tablet or computer to study online. Usually, I elaborate the formulas/theory to students first, and then I will demonstrate many examples to help students to know how the formulas/theories work. I am good at concretizing the abstract theories or formulas. I am good at encouraging students and making them learn knowledge in a positive way. Reply from: Wei: Very glad to work with Chloe online. WeiFrom David (5/5): My son Steven felt frustrated to sit for tests and he was little confident to continue to study in the university. Wei is really good at test strategies. He helped Steven in strategies of solving problems and time management. Steven was satisfied with his HSC test and now he is studying engineering in UTS. Thanks again! WeiFrom Catherine (5/5): I was struggling with IB maths. Under William's help, I got 7/7 at the end. Now I am studying in the ANU. William is really knowledgeable, patient and professional. I highly recommend him to anyone who needs help in maths. WeiFrom Katerina (5/5): Wei tutors my son in Maths and Physics. My son is in Yr11 and has greatly benefitted from working with Wei. My son has found Wei to be informative and passionate about the subjects he teaches. 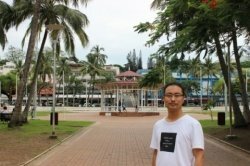 I would not hesitate in recommending Wei as he does an excellent job in his role as tutor. Reply from: Wei: We did IB maths and physics. WeiFrom Joseph (5/5): Very good tutor. Helped explain concepts and assisted polishing up the detail. WeiFrom Karim (5/5): Thank you for your swift response to my request and your flexibility for time options. You are always punctual and very dedicated in your teaching. I look forward to your contribution to my son's success. WeiFrom Rashna (5/5): Wei was very helpful in breaking down question problems I had to help me understand them. I'd recommend him if you need help. Reply from: Wei: Glad to have worked with Rashna in university financial maths. 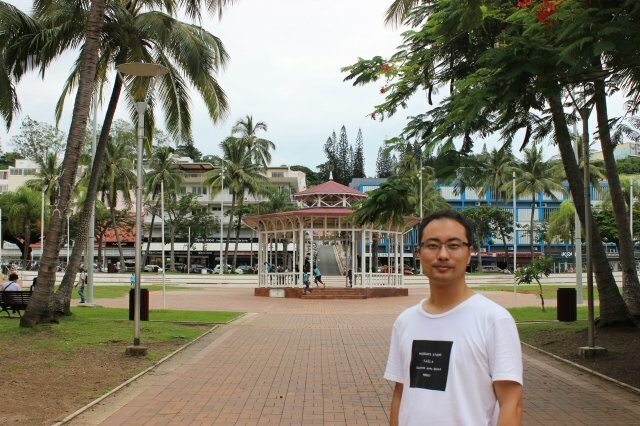 WeiFrom Ying (5/5): He has a good mathematics teaching experience and my son likes his teaching methods very much. WeiFrom Rachael (5/5): We have so far had our first two sessions with William and have found him professional, friendly and knowledgeable. He is patient and enthusiastic which is so important in a tutor. Reply from: Wei: Very glad to work online with 3 nice girls on maths. WeiFrom Rea (5/5): William is a good tutor. He explains the topics well and makes them easier to understand. He has helped me to improve my physics knowledge and skills. Reply from: Wei: We had online tutoring on university physics. WeiFrom Jenny (5/5): I was struggling with tertiary maths and physics. Fortunately, I found William and I loved William's teaching. He really had broad and deep knowledge in maths and physics! He was very patient and he always knew what to do to help me understand the material better. When I didn't understand something, he always explained for me first and gave me another example to make sure that I can work through it and arrive to answer myself and that helped me learn a lot better. I would definitely recommend him to anyone who needs maths and physics tutoring! Reply from: Wei: Jenny is studying in Victoria University of Wellington, New Zealand. We had pleasant online tutoring on university maths and physics. Very glad to hear that she liked my teaching. WeiFrom Ryan (5/5): William is the best tutor I've gotten so far. I am so glad to have found him online. I found online tutoring as efficient as in person tutoring. He explained things to me in a way I understood and he guided me to work on the questions in a very effective way, It helped to me understand the problem a lot better. Thank you!! I highly recommend him to other students!! Reply from: Wei: We had pleasant online tutoring sessions. WeiFrom Kelvin (5/5): Never imagined i'de actually enjoy learning chemistry! Studying first year university level chemistry not having done any chem in about 6 years was really worrying. I am so happy to have found William to tutor me, he breaks things down really well and then pieces them back together so that I can understand easier. The online teaching is great, he usually draws everything out (great illustrations) whilst explaining and keeps challenging me to make sure that I actually understand everything. Fantastic tutor! Reply from: Wei: Very glad to tutor Kelvin online. WeiFrom Sutharsamohan (5/5): Chinese Accent, Good Explanations - in Chemistry and physics, Simple and consistent - We have two kids learning from Mr Wei - We had up to 10 lessons now - Happy to continue. Reply from: Wei: We did online tutoring. I am happy to tutor two clever kids! WeiFrom Kalai (5/5): My son is very fussy about tutors who coach him but I was very happy when Akhila was very happy with William . William is thoroughly knowledgeable and very accommodating .Very pleasant and reliable . Very glad we found him! WeiFrom Tony (5/5): My son is extremely advanced mathematically - around four to five years above his age level and this makes finding an appropriate tutor very difficult. Wei has been a good choice for my son, and together they have managed to make their way methodically through Year 9, 10 and now Year 11 Advanced maths. I would highly recommend him as a tutor for your child. WeiFrom Emma (5/5): Tutor Wei is very organised and good with time management. He is good at ensuring that I understand each topic we cover and has already helped me improve my studies in maths physics and chemistry. he goes over topics in detail and gives me questions to extend my learning. Reply from: Wei: Very smart student! Wish him to have a great future. WeiFrom Peter (3/5): I am second year pharmacist student. I sent Wei a copy of of the quiz but he was very honest and said he probably could help but he is to advanced for him. He did not want to waste my time or money. He is more comfortable teaching more basic chemistry. I appreciated his honest answer. Reply from: Wei: I thought it was common chemistry. Even I thought I can work with Peter, but we would need more time and he would pay more money. I am more comfortable to tutor maths, physics and chemistry for secondary school students or some math, physics and common chemistry for uni students.